Destiny isn’t something that can be proven as real, but there are more than enough examples where a case can be made for it, and Lea Ochs’ racing career makes a strong argument that it exists. 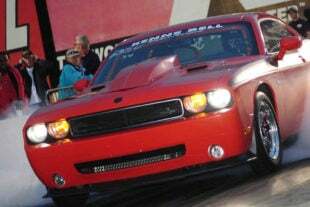 Drag racing has been a part of her life since she was born, and she even returned to the driver’s seat after a brutal crash. 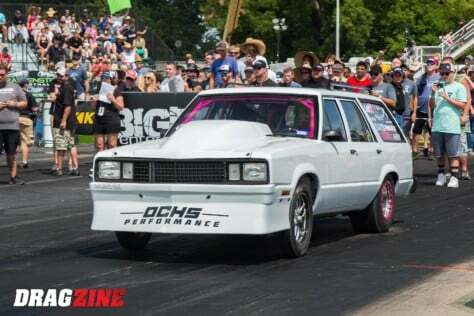 Her Lead Sled Resurrection is a sick Ford wagon that feeds on home-built LSX power. Lea lives what some might consider a double life in her native state of Texas. During the week, she is a successful realtor, but on the weekends she spends her time traveling to events to blast down the dragstrip. To know Lea is to understand that the race track is her happy place, and it has been that way since she entered this world. 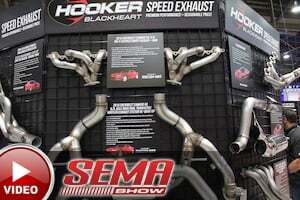 “My biological father was a racer. He and my mother spent their weekends at the track. The day that I was born, he was actually racing and my mother’s water broke at the track. My dad ended up winning the class he was racing in that day, and then I was born, so my life really began at the dragstrip if you think about it,” Lea says. Eventually, Lea’s mother would marry another man, and he just happened to be into drag racing, too. Since being at the track and drag racing was ingrained in her DNA, Lea was able to adapt to her new family setting with ease. Growing up in this new family was interesting for Lea since she was the only female in the family besides her mother. “I have six brothers, and I grew up in a male-dominated world and did a lot of boy-type things. Doing girly stuff wasn’t what I liked. My stepfather was a big racer, so growing up we spent our weekends at the track with him. It was just normal for us to be at the track, and street racing was big for us, too. As my step-dad got older, he became more of the crew chief, and my brothers started racing more,” Lea says. When Lea was old enough, the first thing she did was get her license and jump behind the wheel. Soon, Lea had a car of her own, and she was trying to find races anywhere she could. 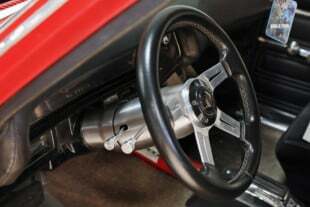 “My first car was a 1972 Chevrolet Nova with a shift kit in the transmission. I would cruise around the streets of Lawton, Oklahoma, chirping the tires and looking for races. That car wasn’t that fast, but in my mind, it was a straight-up racecar. I guess that’s what put me on the path to seeking an adrenaline rush behind the wheel,” Lea explains. Lea’s infatuation with high-performance cars makes her the perfect match for her husband, Gary, who owns Eurosport Automotive and is a lifelong gearhead. After they got married, Lea and Gary began going to races with her brother as he competed in the early days of no-prep racing. That time at the track lit the fuse on Lea’s desire to get back behind the wheel and start racing. “We were going to races with my brother, and I told Gary that I wanted him to build me a car that I could race. I think his thought process was that he would build this car, and I would only race it a few times, I would hate it, and the car would become his. The exact opposite happened. I made the first pass in the car, and I told him to put more power in it. I think he was surprised by that,” Lea explains. The first Lead Sled was going to be something both Lea and Gary would race, but due to the massive height difference between them, it wasn’t possible to build a car that would be safe for both drivers. From that point on, it would be Lea’s ride with Gary being the mechanical genius behind everything. 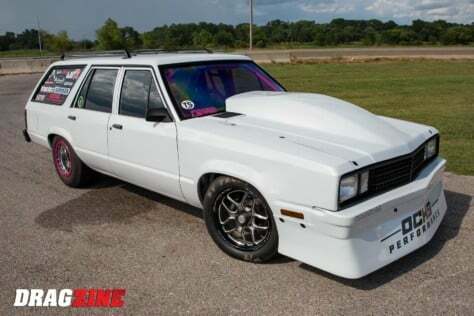 A Ford Fairmont wagon is one unique ride to have at the track, and it’s far from what most would consider a traditional racecar. In a racing world packed with Mustangs and Camaros, Lea’s Lead Sled is different, and it actually stems from the racecar of choice for her family. 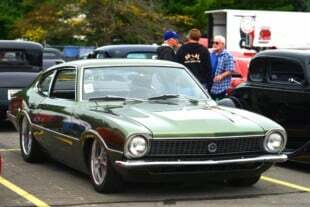 “My brother races a black Ford Fairmont, and my step-dad drove an orange Ford Fairmont, so we always joked about being a Fairmont family. Gary thought it would be interesting if I had a Fairmont station wagon, and I just couldn’t visualize that. He pointed out how cool it would be to beat people with a station wagon, and even more so with a girl driving it. After he put it that way, I was totally onboard, and that’s what we started to look for,” Lea says. Lea enjoyed her time racing the original Lead Sled at the biggest no-prep races, but all of that changed in May of 2017. At a Redemption No-Prep Series event, Lea had the kind of accident that every racer fears. Her Lead Sled violently struck the wall, knocking her unconscious and destroying the car. Lea was pretty beat up and needed some time to heal, but soon enough she was in search of her next ride. 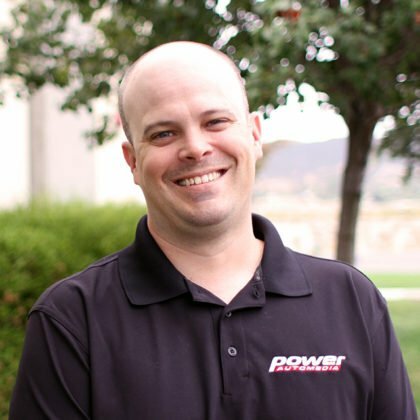 “We purchased the new car in July of 2017 from Shawn Foshee. Over the course of two months, we were hunting for a new wagon, and it proved to be difficult to find one that was in good condition. A mutual friend suggested we contact Shawn about his car. At the time, it wasn’t for sale, but he agreed to sell it to us so we could rebuild after the crash,” Lea explains. After the crash, Lea wanted to replicate the first Lead Sled since that’s what she was known for, but the goal was to make this new version better. Having a blank slate to work from was the best situation possible, and Gary was more than ready to make his vision of what the car should be come to life. 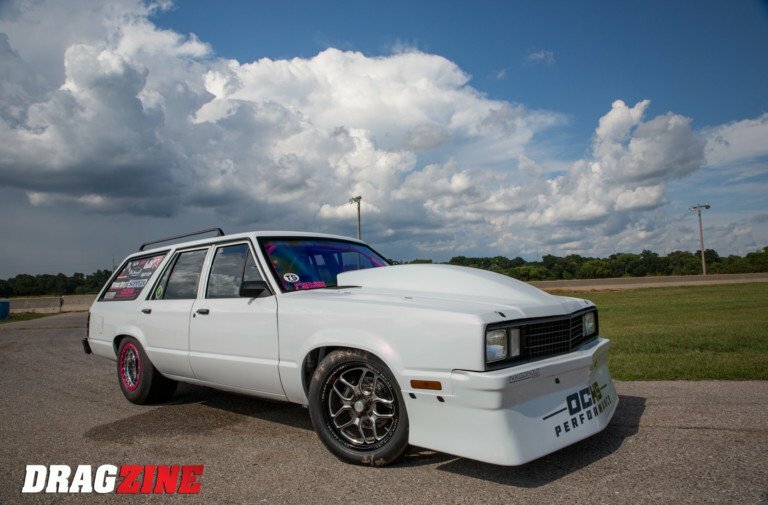 “The first wagon we purchased, someone had started a lot of the work to make it a racecar, so we wanted something that was stock. There were so many things on the first car that Gary wished he could change that were done. It was harder than we realized to find a clean station wagon that was unmolested. Scoring such a clean car as a starting point was perfect for everything he wanted to do,” Lea says. 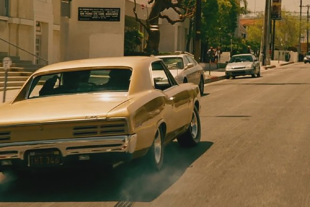 We wanted the car to be a better version of what we had before. It had to be safe and fast. Since safety is very important to both Lea and Gary, that was the first thing addressed with the Lead Sled Resurrection build. A top-notch roll cage was fabricated by James Mowdy at Hazard Fab. Since Lea is small in stature, Gary wanted to add a button on the wheel for her to deploy the parachutes in an emergency, as she manhandles the 3,500-pound wagon down the track. 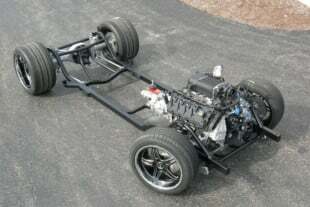 To round out the chassis, a mixture of Team Z Motorsports, Strange, and Santhuff parts were added to the new build. Gary was never a fan of wrapping the previous car, and since the new wagon had a body that was in great shape, the decision was made to paint it. The white paint with pink pearl was laid down by Jonathan Amador at J&M Fabrication and Kustoms. “It was Gary’s idea to do the pink cage. When he first came to me with the idea, I wasn’t interested. I’m glad we did after it was done because it just looks good,” Lea says. A big change on the new Lead Sled happened in between the front fenders as the nitrous system was replaced with a single 94mm Precision turbo. The 427 cubic-inch LS engine was built by Gary at Ochs Performance. 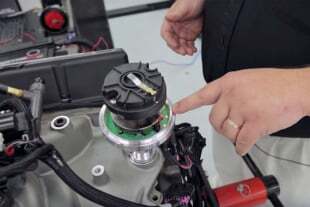 To make sure the engine could deal with a beating on the drag strip and during street duty, Gary used a Callies crankshaft, CP Carrillo connecting rods and Diamond pistons inside. 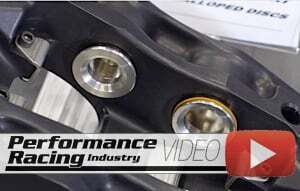 The top end of the engine features a set of Trick Flow heads massaged by Frankenstein Engine Dynamics along with a custom Frankenstein billet aluminum intake. With the new car done, Lea and Gary towed it to Outlaw Armageddon 4 for its first official race. The team fought through a lot of issues during the weekend, however, it meant the world to Lea to be back at the track with her racing family. “I got in the water box and my stomach was full of butterflies. Once I made it onto the track, everything flowed just like I had never left. I can’t really explain how amazing it felt, not just being back behind the wheel, but to have it done it and celebrating the moment with so many people that care about the team. I have a guardian angel pin attached to my belts, right behind my seat. My mother gave it to me when I started racing, and it survived the crash in the original Lead Sled. That pin still rides with me on every pass,” Lea explains. The 2019 racing season brings some fresh energy to the Lead Sled Resurrection team, and they’re ready to put some miles in while traveling to new events. “Our goal is to go faster. It’s always to go faster than we did the previous year. Last year was our first Drag Week, and we want to do that again. The All Out live TV show brought us in late last year, and we enjoyed that, so we will travel to do it again. We’re going to Lights Out for the first time, and we’re very excited about that. We just want to expand more and try new things with the car. We will still hit the big no-prep races as our schedule allows,” Lea says. For Lea, the entire experience of crashing her beloved original Lead Sled was difficult, both physically and mentally. This new opportunity to race isn’t lost on her, and she is grateful for those who have helped make it possible. Lea Ochs has always found her way to the drag strip, and she has made it her mission to enjoy every second spent at the track. The Lead Sled Resurrection shows that no matter what happens in her life, Lea will always find a way to race. Just don’t feel too bad when her station wagon blows past you on the track. … you won’t be her first victim and certainly not the last.